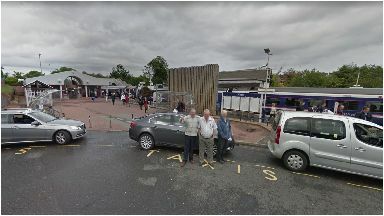 Emergency services were called to assist British Transport Police at Inverkeithing railway station. Train passengers are facing delays after a drunk man fell on a railway platform. Emergency services were called to assist British Transport Police at Inverkeithing railway station in Fife at 7.10pm on Monday. Police Scotland confirmed that the man was intoxicated, but suffered no injuries after his fall. Due to the incident, ScotRail has warned disruption is expected to services between North Queensferry and Dalgety Bay until 9.30pm. Ticket acceptance is in place with Stagecoach between Dunfermline, Rosyth, Inverkeithing, Dalgety Bay, Aberdour, Burntisland, Kinghorn and Kirkcaldy on bus number 7. However, stations between Inverkeithing and Edinburgh are not covered.